Today I will show you steps you need to follow to install WordPress website on Godaddy hosting. WordPress is the most popular self hosting blogging platform. GoDaddy offers one click WordPress install which is very easy even for a person who doesn’t know a bit about website design and development. Here at the time of writing this post, this blog is hosted on Godaddy.com . You can know latest information about Godaddy hosting on their official page here. First buy a domain name for your blog form any domain providing company. After that buy hosting plan of your choice from godaddy. Now go to your domain name control panel and set it to point to your hosting. If you bought both domain name and hosting from godaddy you don’t have to do this step. Godaddy will automatically set everything for you. First login to yourGodaddy account.Now from there launch hosting control panel (it’ll be cPanel in case of Linux hosting). If you have multiple domain names godaddy will ask the domain name on which you want to setup WordPress. Select that domain name. After that it will take about one or two minutes to route your domain name to your hosting plan. 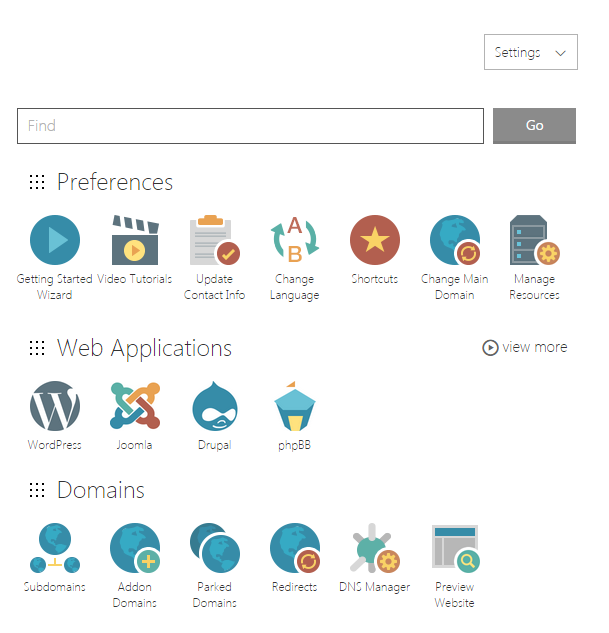 Finally you’ll find your self at the hosting control panel home page. Now here click on the WordPress logo under the Web Applications section to install WordPress. It’ll take you to the WordPress installation page. That page will show you the version of WordPress and other useful information. Click on the big ” + Install This Application” button. One the next page, leave every thing on their default value. change the Name of your blog and website tagline as you want. Also change your e-mail address. If you want to change the Administrator Username and password, go ahead and change them. Make sure you don’t use “Admin” as a username, because that’s unprofessional and on web it’s a big security risk to use such easy to guess name. Now Click Install. After just couple of minutes Godaddy will show the successful installation message for WordPress with links to Your WordPress blog home and Admin page. Now do Happy Blogging!